By Unknown Artist. 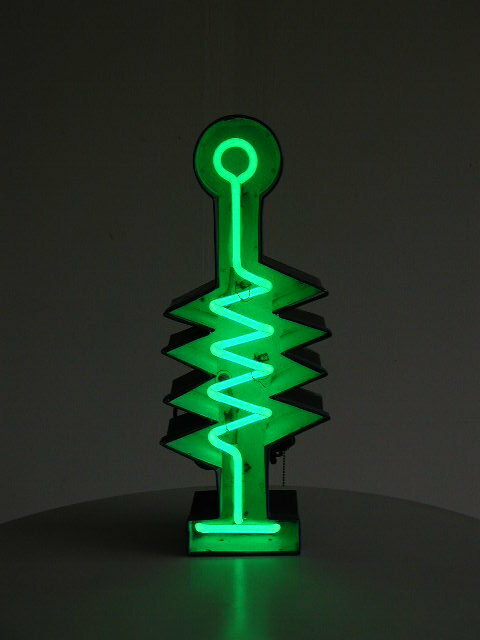 Neon tube is mounted inside a hand made sheet metal and acrylic case that is 23 tall and 5 1/2″ deep. Case is painted black on the exterior, and white on the interior. ca. 1960s – 70s.